It has been decided to renounce the idea of large-scale onshore construction at the port of Shakhtersk (Sakhalin) in favor of offshore transshipment development. 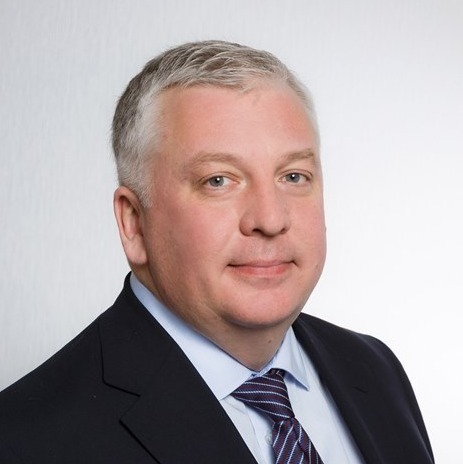 In 2-3 years the port is set to achieve a throughput of 20 million tonnes per year while the negative impact on the environment will be even decreased, Andrey Mekhanikov, Vice-President, Shipping and Stevedore Business Activities, East Mining Company (EMC), said in his interview with IAA PortNews. - The first offshore transshipment facility at the port of Shakhtersk was put into operation in May 2018. Mr. Mekhanikov, what is your opinion about its operation throughout this period of time? What are the advantages of this transshipment method? - The efficiency demonstrated by the offshore floating terminal (OFT) has finally lead to the port development concept review. Earlier, we were going to develop offshore transshipment through extensive method for several years up to 6-7 million tonnes per year and to maintain it at the achieved level until the jetty is built. With the OFT launched, it became evident for East Mining Сompany that offshore transshipment point makes it possible to reload much more cargo during the navigation period, particularly to large vessels not equipped with cranes. Thus, the offshore floating terminal provided an opportunity to achieve two key goals earlier supposed to be achieved through the construction of a jetty. The goals are to increase the scope of transshipment during the navigation period (about 130 working days) and to handle Panamax and larger ships. Obviously, operational expenses in case of direct loading will be slightly lower as compared with the offshore operations but capital investment in construction of a jetty means several-fold figures, especially taking into account the remoteness of Sakhalin from the basic infrastructure. Besides, the Solntsevsky field resources are sufficient for 15-20 years if the production is as intensive as it is planned. Upon completion of this period, more costly hydraulic engineering structures would turn into a sort of monuments to unsustainable solutions. Unlike them, offshore fleet can always be shifted to a different place of operation or be sold. Moreover, there are other advantages over the conventional technology of handling crane ships. For example, we have seen a higher stability of the OFT and, consequently, the same with the shuttle docked to it which make it possible to work in more challenging wind and wave conditions than earlier. - What other measures does the company undertake to ensure the growth of transshipment performance? - During the recent navigation season we determined the factors hindering the performance growth. Among them is a low capacity of the on-coast ship loading conveyor and small size of shuttles delivering cargo to the OFT. Taking into consideration our experience, it is possible now to speak about achieving 10 million tonnes per year in the navigation season of 2019. 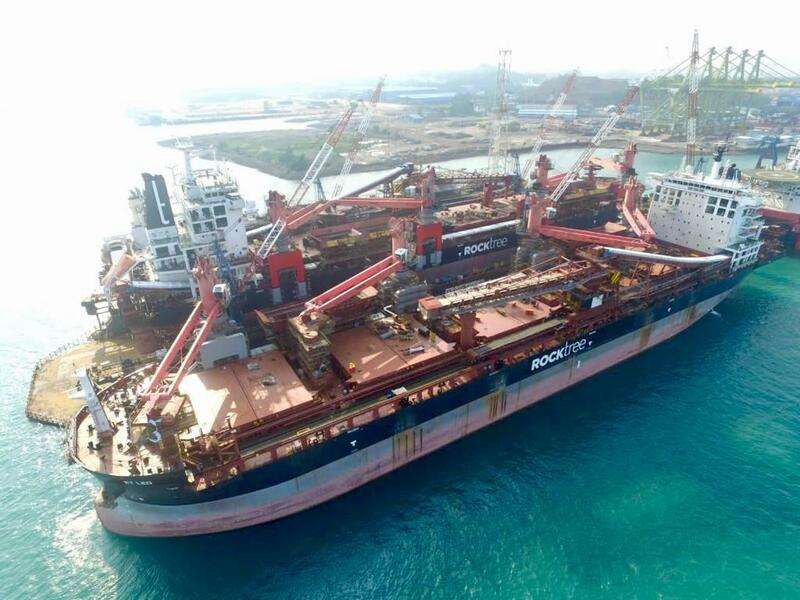 For that purpose, the ship loading conveyor capable of handling 3,000 tonnes per hour was replaced with two conveyors of 4,000 t/h each, four new shuttles of 8,000 tonnes in capacity were acquired and an additional reloading vessel was deployed. - Will you charter the new vessel? - We will use it under a bareboat charter agreement. Its owner, Rocktree (Singapore), has accumulated extensive experience of offshore transshipment in Indonesia, The company’s fleet numbers five units: Mara, Apollo, Zeus, RT Leo, RT Genova. We have chartered the latter one. The modernization of the self-discharging vessel is nearing completion at a shipyard in Indonesia. The modernization is needed since the vessel of Supramax size was previously used for accumulation and transportation of cargo. It used to take 50,000 tonnes of coal from river barges, deliver it to the anchorage of ocean-going ships and transship coal to them. This technology is not needed in Shakhtersk, hence the decision to shift the cranes from the central part to the starboard side. That lets arrange more efficient direct transshipment from new wide shuttles onto ocean-going ships. - What equipment is used on your partner’s vessel? Is it similar to your equipment? 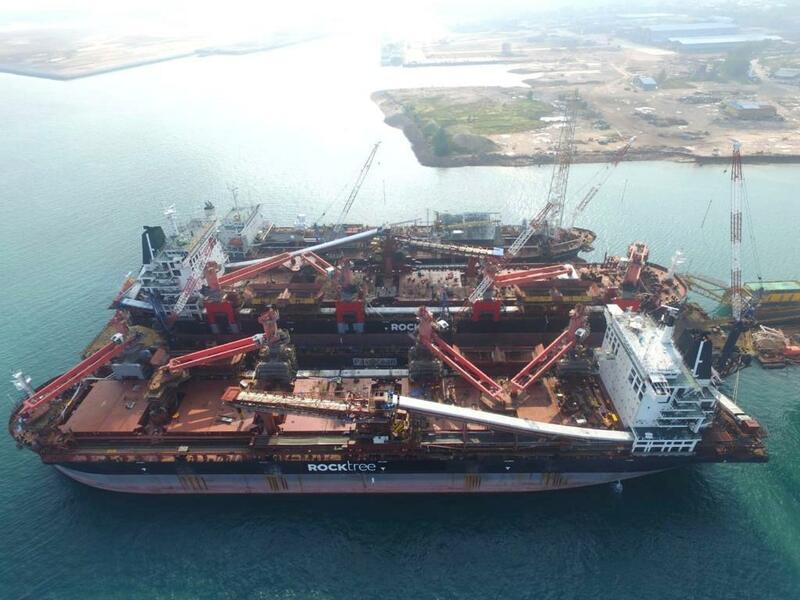 - Generally, all reloading vessels are equipped with Liebherr cranes and Bedeschi ship loading conveyors. They are global leaders in this field. We have already worked with such equipment. So, no problems with personnel are expected. Unlike our reloading vessel, RT Genova is equipped with four 40-tonne Liebherr CBG 350 grab cranes. Therefore, it features a higher loading rate. We will also use some of our own units including tugboats. All newly deployed vessels are built quite recently and feature parameters allowing to benefit from the privileges offered by the Russian Maritime Register of Shipping. The next phase of growth will require complete replacement of old shuttles with self-propelled barges 8,000 DWT and larger as well as modernization of the port’s coal storage yard and, which is the most crucial, construction of a trunk conveyor from the field to the port. - What throughput do you plan to achieve in the nearest years? - Successful implementation of the mentioned tasks will let us achieve annual throughput of 20 million tonnes in 2-3 years. - Will this throughput growth increase the detrimental impact on the environment? - Incredible as it may seem, the environmental impact will be even reduced despite the production growth. That is especially due to renouncement of a large-scale construction at the port in favor of offshore transshipment and replacement of road transport with a covered conveyer. With natural depth of 18 -20 meters as far as one kilometer off the shore the jetty construction would inevitably mean dredging and disposal of dredged material as well as extensive works on the shore. With the offshore transshipment concept, those works are not needed as transshipment is conducted in the area with sufficient natural depth and the on-shore facilities will be placed on the existing berth. - What about the RF border post at the port of Shakhtersk? - On 4 March 2019, the multi-authority committee headed by the representative of RF Transport Ministry approved the border post at the port of Shakhtersk. That will let us reduce charter period by three days and, subsequently, increase the product competitiveness. - Have you implemented the project on your own? - The company has fully financed the construction and equipment. The border point is currently the most up-to-date in the Sakhalin Region. It is a monolithic building of over 600 square meters fitted with all required equipment and offering comfortable work conditions. The project was implemented with participation of PMC Avangard CJSC.